I am going to present this Weekly Update newspaper style, with key points of interest mentioned, and present details as you read more. This is your LAST WEEKEND to get the Rifter® Subscription at a discount and your choice of one of seven FREE GIFTS worth as much as $43.85 – if you want one. The Rifter® #76 is available now. 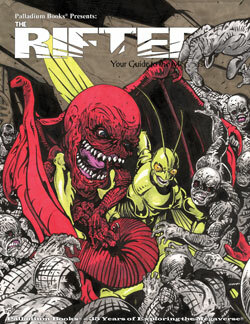 The Rifter #77 is at the printer and should ship March 9. The Rifter® #78 and an array of other products are in development. Carmen Bellaire is recuperating and doing much better. Our thanks to the many people who sent their well wishes and expressed concern about his welfare; details follow below in a few different places. Final days. The Rifter® Super-Subscription Offer only comes once a year. As always, I have tried to make the gift choices fun, with a little something for everyone. 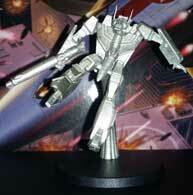 The Rifter® has been better than ever with an increasing amount of “official” source material in most issues. Final Days! This offer with a free gift ENDS on February 28, 2017. See the full description for The Rifter® 2017 Super-Subscription Offer in the online store. Order today. The Rifter® #77 is at the printer. I approved the printer proof, it looks great, and the printer has us scheduled for delivery to the warehouse on March 9, 2017, but I wouldn’t be surprised if it arrives a day or two early. 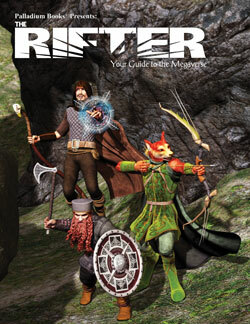 The Rifter® #77 is another fun issue, a third of which is “official” adventure source material. 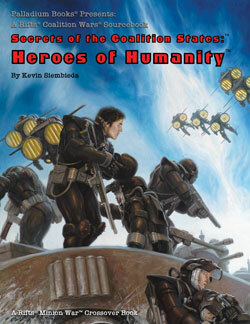 There is stuff for Heroes Unlimited™ (“official” Doc Feral and mutants), as well as very fun settings for Palladium Fantasy® (a new city-state to explore in the Old Kingdom) and Rifts® (a TW city and characters that will surprise you), and ... are you ready for it ... the final chapter of the epic, Splicers® I am Legion adventure source material, also “official.” We expect it to ship on or around March 9, 2017. 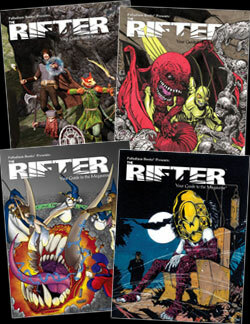 The Rifter® #76 and #75 are both available now and contain a ton of “official” source material as well. Remember, new subscribers and re-subscribers get a free gift worth as much as $43.85 depending on the item you select. That offer ends February 28, 2017. See Super-Subscription Offer, above. The past week has been one of the most harrowing and longest of our lives. For those of you who have not yet heard, last Friday, freelance writer, game designer and dear friend, Carmen Bellaire tried to take his own life. By the grace of God, his wife, a nurse, found him before it was too late. I am happy to report that Carmen is doing as well as can be expected, recuperating and feeling better and stronger every day. I would like to thank everyone – family, friends, freelancers, backers, retailers, game developers, etc. – who have extended their sincere words of support to Carmen and his family. Palladium has been passing such positive encouragement on to him and his family, and they appreciate all the support. Carmen is recovering nicely, and we are continuing to keep him and his family in our prayers. I will continue to post news regarding Carmen's health and recovery in the Weekly Update. We are all hoping for a speedy recovery. Knowing Carmen, he’ll be back in no time. Last week I reported Carmen’s plan to launch his Rifts® Board Game Kickstarter at the middle or end of April. That date is now very much in question. In a recent conversation with Carmen, he expressed his intention to press forward with the Rifts board game as soon as he can. While I applaud his sentiment and dedication, it is too soon for him to make that decision, and I told him he should not rush into things. 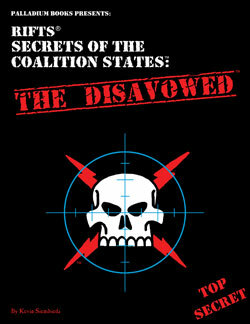 My guess is the Kickstarter launch will be delayed a few weeks, if not a few months. I pray with all my heart Carmen does, indeed, find his way back to game design and is able to follow his heart and his dream. I want him to make the Rifts® board game a huge success, not for my welfare, but for his, and for all the people who share HIS dream. That includes those of you who are anxiously anticipating the Rifts® board game, and I include myself among your numbers. The game is going to be filled with gorgeous, detailed miniatures that will have many uses and applications outside the board game itself, as well as cool playing maps, cards, etc. and endless hours of fun. 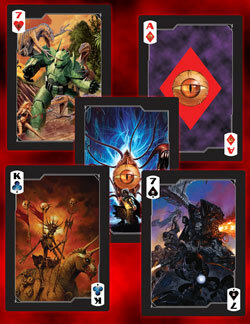 The Rifts® board game has never been only about Carmen, and certainly not about me or Palladium. It is about his dream and the hardworking team of sculptors, artists, helpers and family members being carried along with him because they share that dream. A lot of people are involved in making this game. It is about the just reward for the gutsy financial investment (no small sum), hard work, and dedication to make a game that will delight gamers everywhere. I also have a very selfish reason for Carmen to get strong again, finish the game and make it a monumental success. I want to see the joy on my friend’s face when he rises like the Phoenix and is able to realize his dream and share his love of Rifts® and gaming with others to enjoy. If there is no Rifts® board game, we are totally okay with that. And I have told this to Carmen. He told me he plans to finish what he has started and wants to get back to work on it and other projects soon. Our concern is for Carmen’s health and well being. We hope to see him encouraged (not pushed) to get back into what he loves and enjoys. And he loves making fun, entertaining games more than anything else. If and when he is ready and able to continue to produce the Rifts® board game, we intend to support his efforts 100%. We hope many of you will too, because the game is top notch, the sculpts are incredible, and it is all made with love and a fierce dedication to fun. Of course, we will keep you informed as to Carmen’s progress on all fronts. 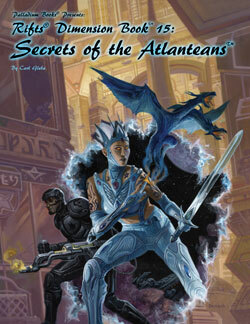 For more details about the Rifts® miniature game, go to the Rogue Heroes Publishing Facebook page. 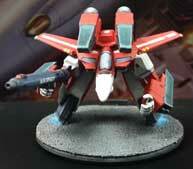 The ever popular Rifts® Glitter Boy miniature is temporarily out of stock. We intend to bring it back into stock quickly, HOWEVER, Carmen Bellaire is the gent who spins the Glitter Boy miniatures for us, so we don’t know when he might be able to make more for us. Don’t forget, Palladium still offers a wide range of pewter miniatures for Rifts®. Some of my personal favorites include the Glitter Boy, SAMAS, Sky Cycles, Skelebots, Cyborgs, Atlantis set and Dog Boys. Check ‘em out in the store. They’ll keep you happy until the new miniatures in the Rifts® Board Game from Rogue Heroes become available. We have continued to work on various projects, but much of our attention has been focused on Carmen Bellaire. It has been a very rough week for all of us. 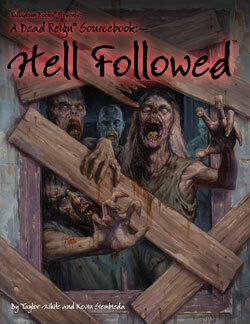 Please see last week’s Update for a wealth of news on the many titles in the pipeline. 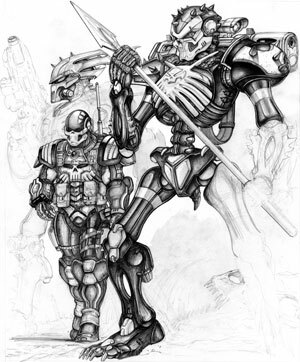 We understand that there are some backers who are extremely frustrated and/or disappointed with Palladium Books regarding the delays of RRT. This has not been a walk in the park for anyone. Not for you, not for us. Far from it. There is frustration and disappointment on both sides of the fence. All of us at Palladium want to see RRT Wave Two completed and fulfilled, and we are working toward unleashing what we hope will be an impressive relaunch. We have renewed our efforts to make improvements and headway on Wave Two rewards, regarding reduced part counts for easier assembly, reduced seams and other ways to make a superior product. This is happening right now. Wayne and I met with a manufacturing rep for three and a half hours just today. And we have new quotes out for different manufacturing approaches and technologies. We know you want hard details and facts right now, and I would love more than anything to give them to you. Unfortunately, this process does not yield visual results that can be publicly displayed. Moreover, we cannot reveal certain aspects of our plans for a number of business reasons. However, once the tooling, mold making and manufacturing process begins, we will be glad to post a wealth of details, pictures, schedules, etc. In the meantime, we do have some major plans in development for the relaunch of Robotech® RPG Tactics™ Wave Two and welcome your continued support. Palladium has not given up on RRT or you, our backers, despite what some people might speculate. We are seeking quotes from manufacturers for the array of Wave Two rewards everyone wants to see come to fruition. Even with the frustrating, disappointing delays and setbacks with Wave Two rewards, most backers have been understanding and share with us constructive inquiries, suggestions and sincere communications that we take to heart. We thank you for such conduct and sincerely appreciate your support. Please look for future posts regarding the RRT relaunch program as information becomes available. I have been struggling with my words since last Friday when I learned about Carmen’s attempt to take his own life. So I hope what follows comes across as the positive message of hope that I intend it to be. The news about Carmen probably surprised you. It shocked and devastated all of us. Carmen had been on top of the world, posting all over the place about his upcoming April Kickstarter for his Rifts® board game being produced under license from Palladium Books. For Carmen this is a huge deal. If the Kickstarter is the big success he hopes it will be, not only will the Rifts® board game (another one of his dreams) become a game for us all to play and enjoy, but it will help launch Carmen’s own company, Rogue Heroes LLC. Moreover, he hopes it will enable him to quit his 9-5 day job to dedicate himself full-time exclusively to creating games. This is a lifelong dream and something Carmen has been working hard to make a reality. 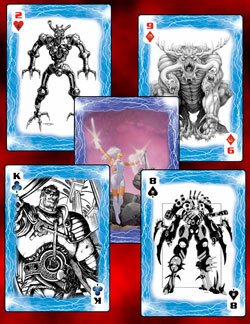 He and his team have been working on the Rifts® board game and its many components for the last 2-3 years or so. In addition to making his own games, it should give him the opportunity to return to Robotech® and help Palladium with our plans for the relaunch of Robotech® RPG Tactics and further develop the game line in a big way. Exciting for both of us. RRT is another project Carmen is passionate about, but he has not had the time to do anything with it, because of his other commitments – two full-time jobs, the 9-5 job and his game design work for Upper Deck, plus his own game design work on the side, and his family! With the announcement of his Rifts® board game Kickstarter and the strong positive response it was garnering, it seemed like all that time, money and hard work was on the cusp of paying off. I do not know the weight of everything Carmen has been carrying on his shoulders, but the tipping point came when he fell under hostile verbal fire and threats to undermine his upcoming Rifts® board game Kickstarter. The heated words shocked and overwhelmed him. They felt like an attack. Pushed him into despair, and sent his thoughts and emotions careening into darkness. Suddenly, to him, it seemed like everything was ruined and it was his fault. In the haze of his mental state at that moment, his dreams were shattered. Not just HIS dreams, but the dreams of all the people he was carrying with him — the sculptors, the artists, his family, and others – to whom this game and their shared dream meant so much. In a moment of blinding pain and despair, Carmen made a horrible choice. I write this with the permission of Carmen and his family in the hopes that it may help others who suddenly find themselves in Carmen’s shoes: Alone, overwhelmed with grief and a sense of loss and pain with no rational idea of where to turn, or what to do except to find a way to stop the pain. And to remind us that words hurt in ways we may not realize or understand. That we should ALL try to stop and think about what we say and how we say it. Carmen himself can be the proverbial bull in the china shop, and sometimes speak without thinking or without choosing his words more carefully. We all do. But in this world of social media and our own hot emotions, it is easy to forget, and before we know it, we are tearing someone down or destroying their dream, perhaps without even realizing it or thinking about the possible consequences. Do I believe the words leveled at him were intended to drive a man to do the unthinkable? Absolutely not. But those words were intended to hurt, and they did their job well. And against somebody who did not deserve their wrath or anger. The possible consequences of those words were never considered. In the heat of the moment, only the anger, frustration and condemning words mattered against a new target that wandered into their path. I implore everyone to please try to stop doing that. We need to try to be more thoughtful to others and think about what we say. The message that follows is for ALL OF YOU who have a dream or a gift – a talent – you are burning to share. Please do not let harsh words, or naysayers and bullies, shame you or scare you into hiding your talents and throwing away your dreams. It is not easy to be who you are and to follow your dreams. There are always people, some well-intentioned, some unwittingly, some envious, and some full of pain or anger themselves, who will try to crush you and destroy your dreams. They use words to make you afraid to step up and unleash your talent. Words used to make accusations and threats to beat you down, crush your dreams and shatter your spirit along with it. To the dreamers, I say do not let them do it. Ignore them and follow your dream. To the rest of us, please try not to be that guy. Try to be more open and sympathetic, understanding and supportive. Role-playing gamers, imagine yourself in that person’s shoes and find the commonality between you. Empathy is good. Use it. Dreamers be warned, it is not an easy road to travel, but so very worthwhile, if you can handle the heat. It is scary taking even the first step to follow your dream. You are probably entering new territory, learning, and investing a massive amount of time, money, and your heart and soul into your endeavor. Daring to follow your dream takes courage and tenacity. That makes you unique and different, because most people never find the guts to follow their dream. When you are different, you become a target. And you may be attacked for being different or making your voice heard, or any number of reasons. You may be ridiculed or attacked by more people than you could imagine for reasons you cannot fathom, and by some you would never expect. A lot of the time, I don’t think the person saying harsh, callous and even outright cruel, hateful things realizes they are even doing it. They just speak their mind. They do not consider how their words, jokes or condemnation may hurt the target of their verbal melee. We have all done it. Others are upset about something else and you just happen to catch their wrath. Of course, some don’t care and some enjoy being cruel, but I would like to think they are a tiny minority. Most of us just don’t think about what we are saying. I grew up in Detroit, a factory town. For most people, cars and working the factory or a related industry was the way of life for honest, hardworking folk. Being an artist or writer was not part of their world. So wanting to become one was a fool’s dream and a waste of time. I was told by people who meant well, that I needed to grow up and stop dreaming. To be practical and accept my fate like the rest of them. I heard that all the time, including from people who cared and were trying to have my back; my Grandfather among them. They were trying to protect me from disappointment. Others could not understand my dream or why it mattered so much to me, some were envious, and some were just bullies. I had to fight for my dream, and those I describe above were the least of my battles. There have been times in my life where the whole world has seemed to be conspiring against that dream. It was not true, of course, but sometimes it can feel that way. When it does, step back, take a deep breath, groan and complain to your best friend or anyone who will listen without being too judgmental, and stay on track. By the way, there will be other times when living your dream feels like heaven. When you are the target of hatred that besieges you with relentless negativity and harsh, condemning words, it can seem to engulf you. Words can become weapons. You feel crushed. Suffocating under the weight that threatens to bury you alive, while at the same time pummeling and cutting you, tearing out your guts, stabbing you in the heart, taking your very soul. If you let it. Melodramatic? Over the top? Think again. I know a beautiful, compassionate, and talented young girl whose voice has been all but silenced by her tormentors. Her talent stifled and hidden, because of the bullies and their relentless attacks. She struggles with it, but she doesn’t know how to cope, how to fight back against the relentless persecution, lies and hate. So she turns it inward, hurts herself, wonders if she is the freak they tell her she is. She feels alone because she does not fit in, yet at the same time, she cannot stop being who she is. Well from one freak to another, keep fighting. Find a way to be you. That goes for all of you gentle souls who are freaks and geeks, because you don’t fit in, have something to say, or dare to dream of something different for yourself and for your friends, your family, and maybe even the whole world. Do NOT let the cutting words or the bullies take away your joy. Cling to it with every fiber of your being. Find a way to keep your joy and nurture your talents, your goodness, your dreams and everything that is you. Perhaps most important of all, remember this pain when you have the urge to put someone else down or when it is easy to jump to a conclusion or believe hearsay because it’s juicy and thrilling. AND DO NOT INFLICT THIS PAIN UPON SOMEONE ELSE. I pray to God with all my heart that Carmen finds his way back to us and is able to follow his heart and his dream. 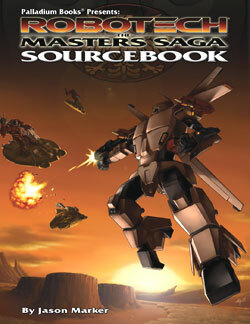 I want the Rifts® board game to be a huge success so that it can become the springboard to ALL of his games. Oh my gosh, he has so many incredible ideas for games of all kinds. He is a true genius at game design. I know Carmen is fighting hard to recover and realize his dreams. We should all follow his good example. We all make mistakes, small and large. We all stumble and fall. It is how you pick yourself up and find a way to continue that matters. With any luck, you have someone or a lot of someones to lend a helping hand. Our heartfelt encouragement goes out to everyone who feels different, has ideas and talent to share with the world, and a dream they need to follow. May you find a happy ending to your story. And know that everyone at Palladium Books is rooting you on. “There are so many fragile things, after all. People break so easily, and so do dreams and hearts.